Fussy cooking and me – NOT A GOOD COMBINATION! 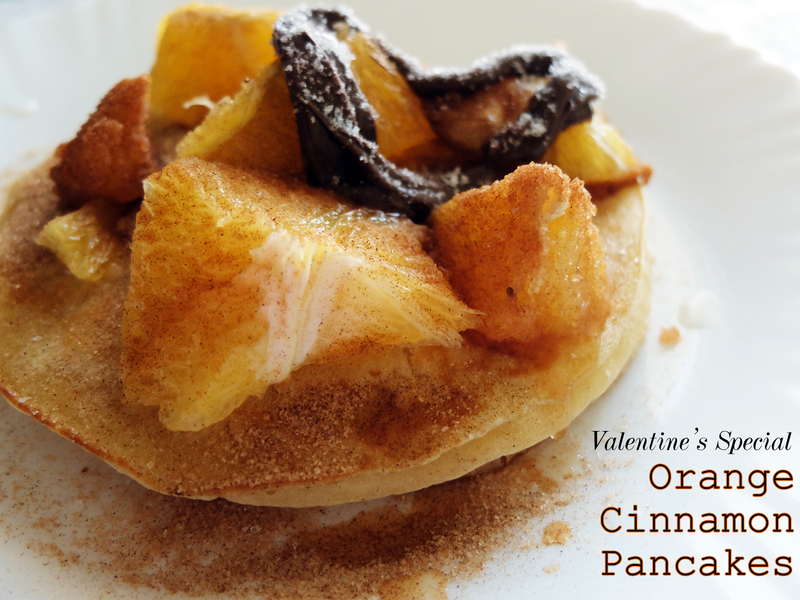 I was on a look out for a simple recipe that both looks appealing and tastes decadent to serve up your man (or Family, or Friends) on Valentine’s Day. Pancakes get posh-ed up with the unusual combinations that I never thought would work wonderfully in the batter as well as garnishes. Read up the recipe and instructions to get yourself a bite of heaven! In a large bowl, sift together the flour, baking powder and salt. Make a well in the centre and pour in the milk, egg and oil and mix until smooth. Add the orange zest, cinnamon and sugar and combine well. Heat a lightly oiled frying pan over medium heat. Pour or scoop the batter onto the griddle, using approximately 1/4 cup for each pancake. Brown on both sides and serve hot. 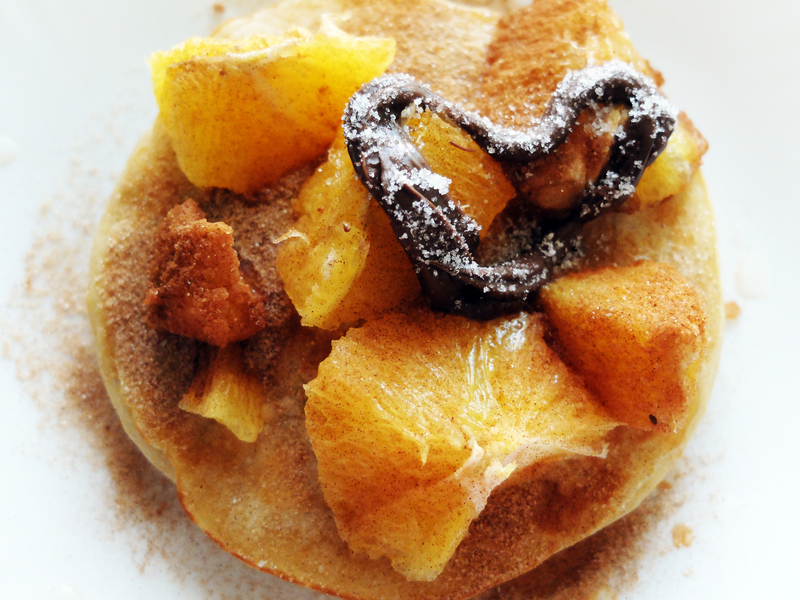 For the toppings take a few slices of sweet orange and dip it in the cinnamon sugar mixture to top the pancake. Pour the remaining cinnamon sugar combination over the top as garnish. Take a spoon and some Nutella at room temperature and swirl it around to form a heart. Top the heart with white sugar for a little bit of drama and show some love! Omg – these look drool-some!! Hello colleagues, pleasant article and pleasant arguments commented here, I am actually enjoying by these. web site, because i want enjoyment, since this this web page conations really pleasant funny stuff too. maintain such info much. I used to be seeking this particular information for a long time.